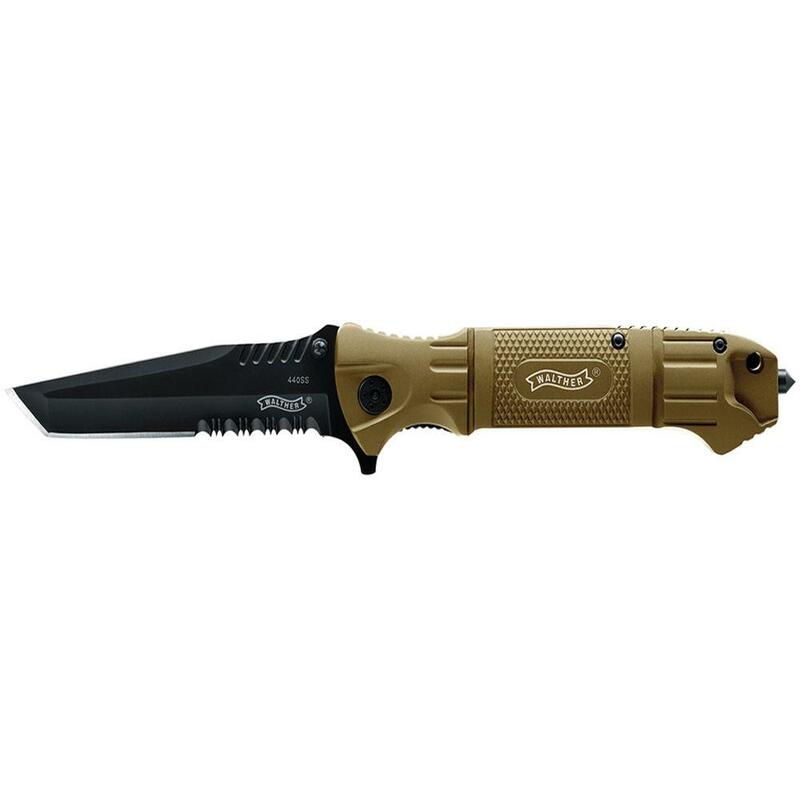 Buy Cheap Walther 2259128 Tanto Tactical Dark Earth Brown Folding Knife |ReplicaAirguns.ca | Easter Weekend Sale! The same knife as the Walther Black Tac Tanto, but in Dark Earth Brown (DEB) style. The knife incorporates a partial serrated blade and an open assist. There is a liner lock and aluminum handle. Glass-breaker with a removeable clip.